Eight seniors from Pennsylvania College of Art & Design's Photography Department will be exhibiting their work in “Exposing Influences” opening with a reception at PCA&D, on First Friday, February 5, 6 – p.m.
Also opening on February 5 in Pennsylvania College of Art & Design’s Main Gallery will be a new exhibition titled Memory: Digital and Traditional Work by Jeff Hesser, which will run through March 13, 2016. In addition, the artist will present a talk to students and members of the public at 10:00 a.m. on Friday, February 5. 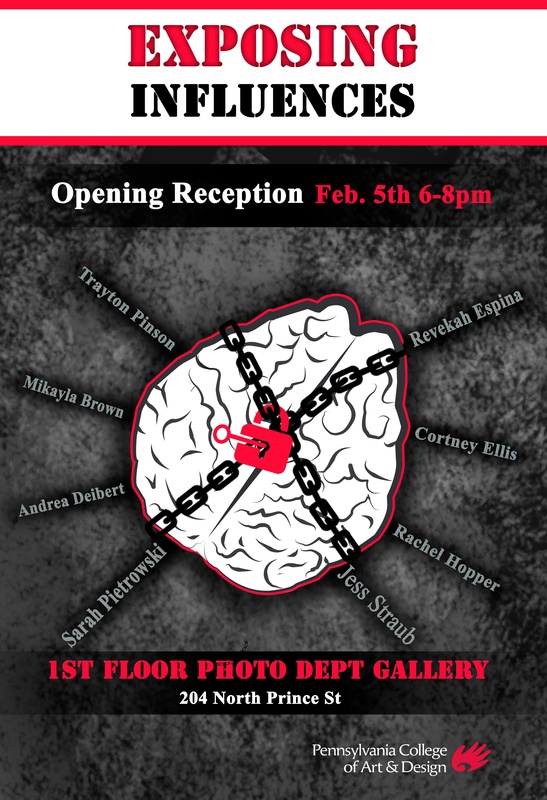 A Reception for the Artist will be held 6 – 8 p.m., February 5 during First Friday Lancaster.